Today the Nevada State Athletic Commission released the fight purses for Saturday’s UFC 229 in Las Vegas, NV. This event marks a tie for the highest reported main event fight in the history of the UFC. The purse for McGregor and his opponent were the same when he fought Nate Diaz at UFC 202. The first amount listed is the fighter’s ‘show’ purse and the second the amount extra should they be declared the winner. Per NSAC, Conor McGregor’s disclosed pay for UFC 229 is a flat $3 million. 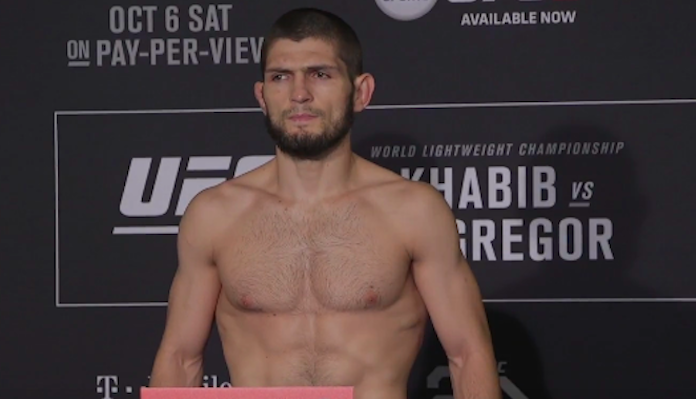 Khabib Nurmagomedov is a flat $2 million. The above figures are the fighter payout information that promoters are required by State law to submit to the state athletic commissions; they do not represent a full accounting of each fighter’s income. On the income side, fighters earned sponsorship of between $2,500 and $50,000 for wearing Reebok apparel in the Octagon, and during the week before it. Out-of-event sponsorship money too can be significant, although it is smaller for many fighters than it was in the past. In addition, four $50,000 ‘of the Night’ Performance Bonuses, are awarded. Further, main event PPV fighters can receive a percentage of the PPV gross, as contracted, generally at a rate that escalates with increased PPV buys. Lastly, many fighters earn income from teaching, from appearances, and in many cases from regular employment in non-fight employment.